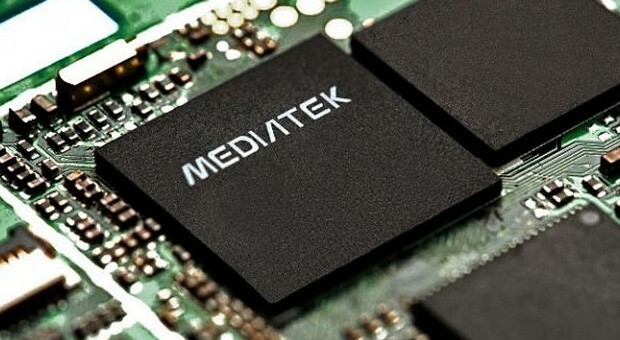 The MediaTek MT8165 is a 64-bit ARM-based SoC for Android devices launched in 2014. The quad-core processor is manufactured in 28 nm and based on the Cortex-A53 architecture. In addition to the CPU core, it integrates an ARM Mali-760 MP2 GPU and a LPDDR3 memory controller (32-bit, 800 MHz, 6.4 GB/s). The Cortex-A53 is the successor to the popular Cortex-A7 design. In addition to the jump from 32-bit to 64-bit architecture (ARMv8 ISA) to address more than 4 GB of memory, the new design offers better branch prediction and higher performance-to-power ratio that rivals the Cortex-A9. The four cores of the MT8165 are clocked at up to 1.5 GHz and sits roughly in between the Qualcomm Snapdragon 610 (4x Cortex-A53 at 1.7 GHz) and Snapdragon 410 (4x Cortex-A53 at 1.2 to 1.4 GHz). The power-efficient processor is fit for common tasks like browsing and running light applications. The integrated dual-core Mali-T760 MP2 is a mid-range GPU clocked at up to 500 MHz. Most Android games will run at acceptable frame rates on medium resolutions and quality. 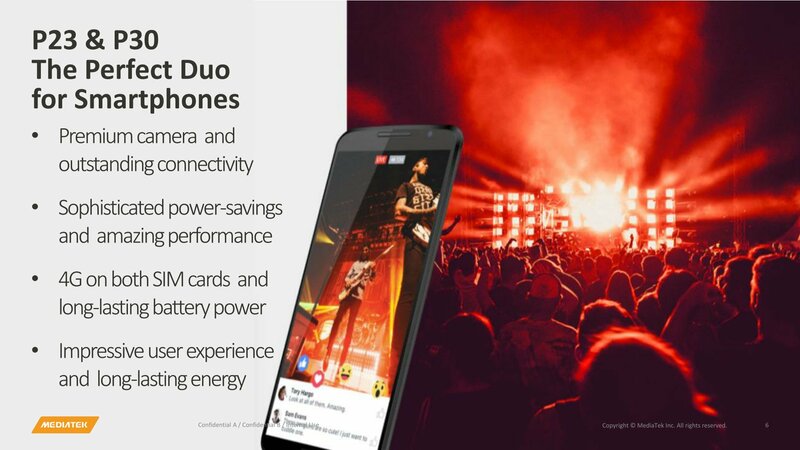 The Mediatek Helio P23 MT6763V is a mainstream ARM SoC for smartphones (mainly Android based) that was introduced in 2017. It is manufactured in a 16 nm FinFET+ process and is equipped with 8 ARM Cortex-A53 CPU cores. The cores are divided in two clusters, a performance cluster clocked at up to 2 GHz (versus 2.3 GHz in the official specs for the similar P23 MT6763T) and a power efficiency cluster clocked at up to 1.65 GHz (unverified). The chip also includes an LTE modem (Cat. 7 DL / Cat. 13 UL with Dual-SIM support) and a 802.11a/b/g/n WiFi modem. The integrated ARM Mali-G71 MP2 GPU is clocked at up to 770 MHz and has two cluster (from 32). The integrated memory controller supports DDR4x (Dual-Channel?) at 1500 MHz and LPDDR3 (Single Channel only) at 933 MHz. The video engine supports H.264 de- and encoding but only decoding (playback) of H.265/HEVC.